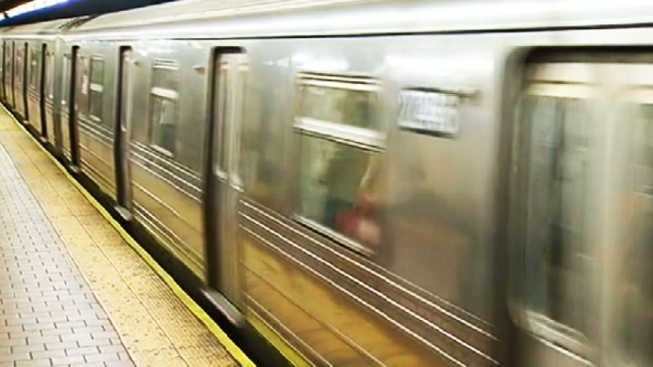 Police say they've arrested a man who punched both a medical resident and the therapy dog he was handling while aboard a New York City subway train. NYPD Transit Chief Joseph Fox says Herman Williams demanded the man move his pit bull away from him on a No. 4 subway in the Bronx Tuesday. Fox says the victim apparently didn't move away far enough because the 48-year-old Herman punched the dog in the head. He says Williams then punched the 30-year-old medical resident in the face, knocking out three of his teeth. The conductor pulled the train's whistle to alert police, who arrested Williams at the subway platform. It wasn't clear if Williams had an attorney who could comment on the allegations.